On day 1 we get to know each other. Our team will wait for you at the airport and bring you to Brasov. 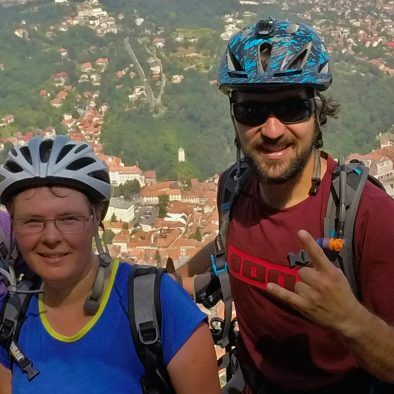 Andreea Herteanu, our local guide will show you the city and the best places to eat. Afterwards it’s time to discuss the itineraries for the next days. Finally you deserve a long night of rest to be prepared for a fresh morning full of good lines. 3 runs and a lot of fun. 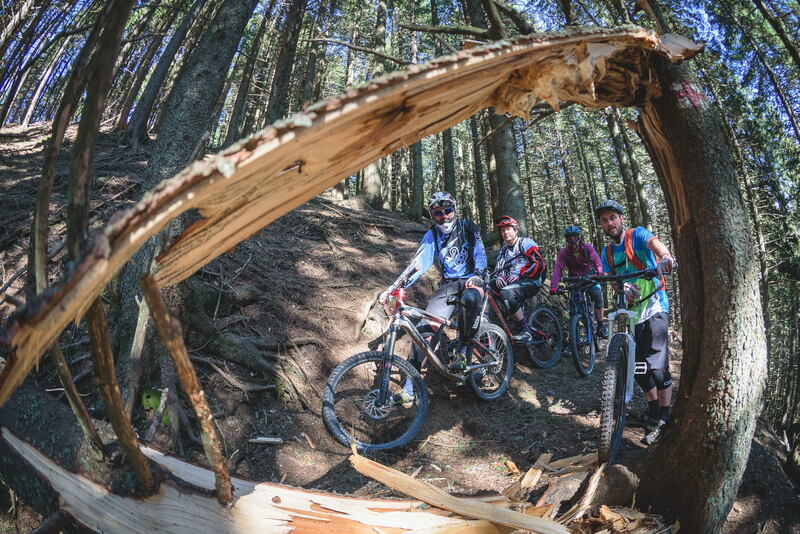 Ciucas Mountains are part of the National Enduro Championship, so show us what you got. Their unique conglomerate formations and mystic landscape will fill our batteries for another run. If not, the shepherd dogs will do it for sure. We grew up with this mountain. Lines for everybody and full of opportunities: rock climbing, mtb enduro, canyoning, freeride snowboarding and skiing. Only 15 km away from the city center you will see Brasov from a different angle. Depending on the general condition of the group we can do 2 Runs. A day of approx. 2200 negative elevation. 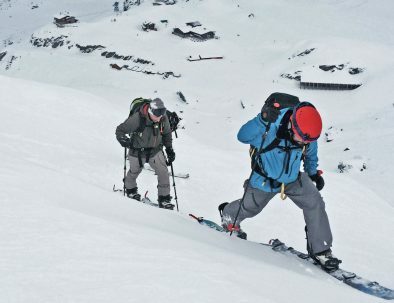 We will combine both artificial elements and authentic freeride areas. 2 short runs will warm us up. 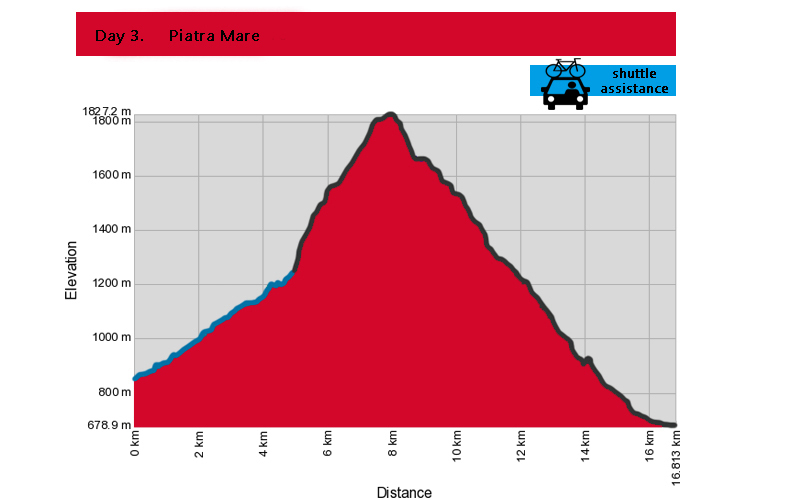 The rest of the day we will ride down from 2000m. All the way to Sinaia city – a glorious day ending with a bonfire and a camping night under the clear sky..Our very own astronomy-expert will be eager to share his wisdom about the stars. The night in the camping is optional. A full day of enduro. 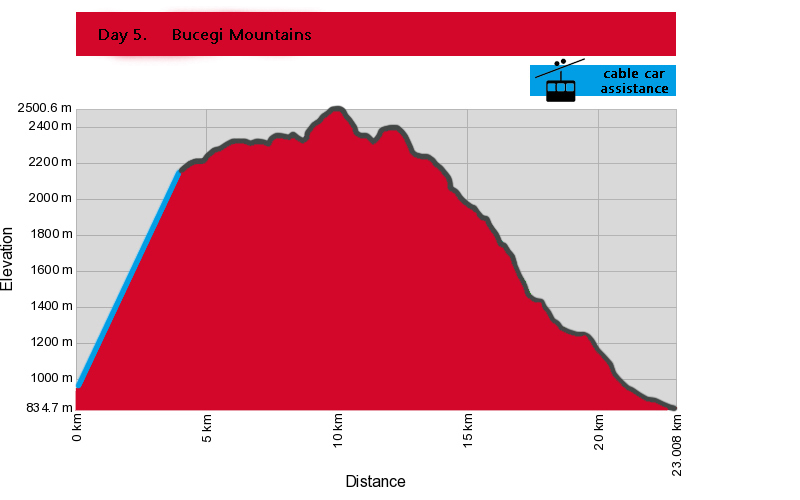 The main access is by cable car, but followed by a 1,5 h hike on the Bucegi plateu at 2000m altitude. 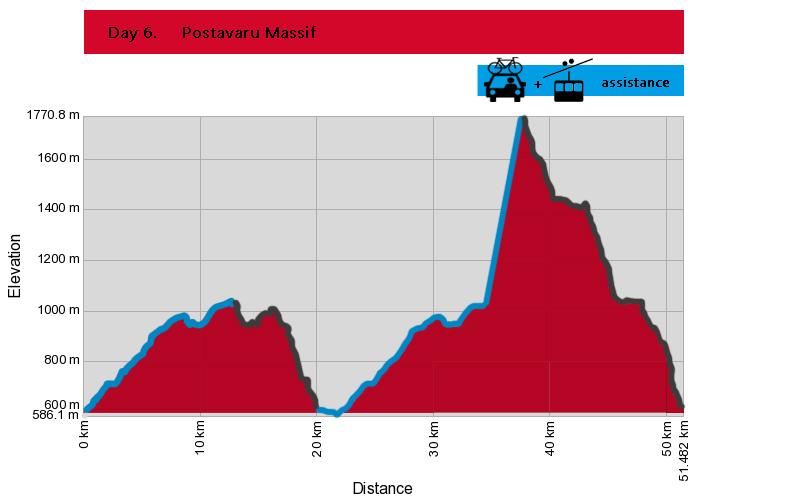 We will pass Omu Peak (2505), the highest point of Bucegi Mountains, enjoy the view and prepare for the 12 km of downhill ride. 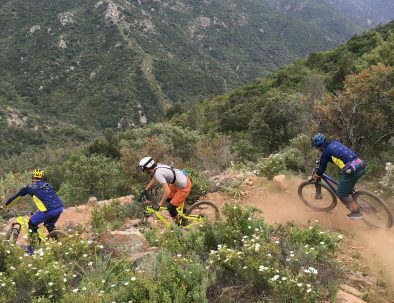 But remember, you will experience everything that this mountain has to offer: steep valleys, …single trails, spruce forest, rock gardens, roots (bloody roots), speed lines, and so on. This route will train your balance more than any other. Furthermore, if time is on our side, we will visit one of the most legendary castles in the world: The Bran Castle, residence of You-Know-Who. So clean up your clothes, it’s time for some spooky mystery. The mountain in our backyard…it’s hard not to get emotional. During wintertime, he welcomes us snowboarders, in summer, with mountain bikes. 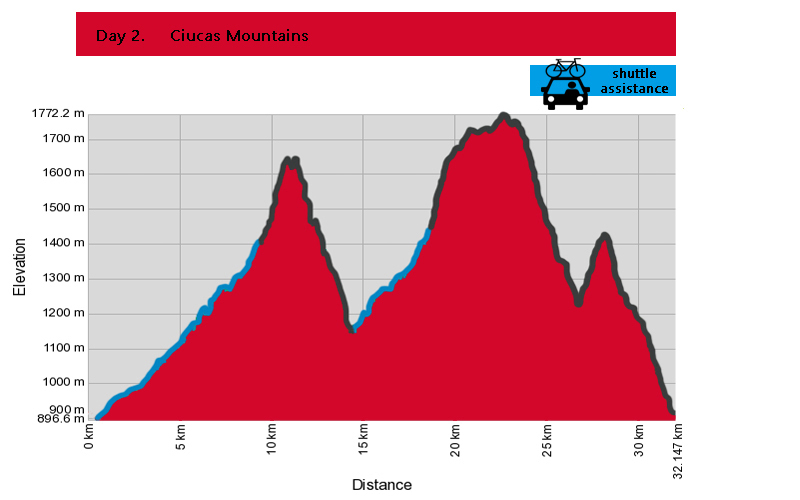 After 4 days of intense riding we’ll find for sure the perfect path to burn even the last drop of fuel. There are approx. 10 different trails, all with cable car or shuttle access. 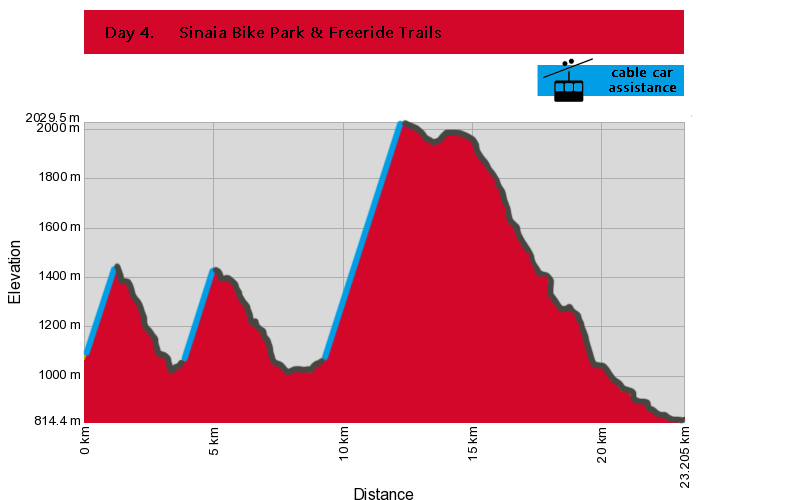 A whole day of downhill, which will end with a cold beer (or a cold ice cream if you prefer) in the city center. 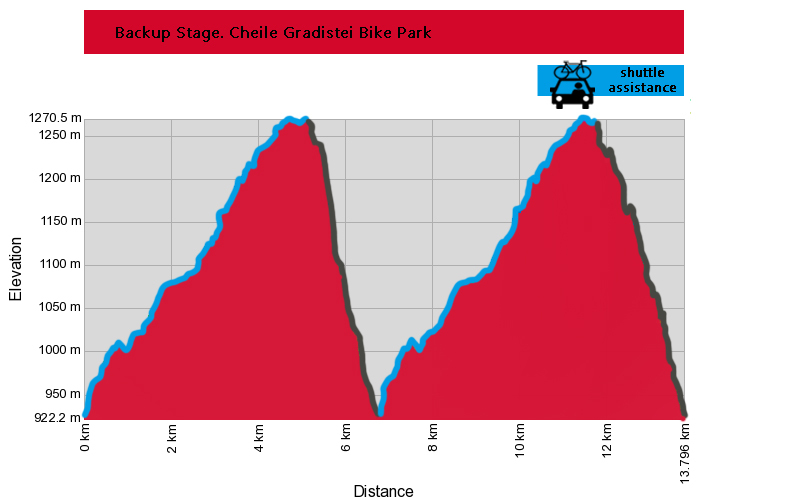 Even if we figured the perfect plan for you, we cannot predict weather, so this is our Plan B: Bike Park Cheile Gradistei. 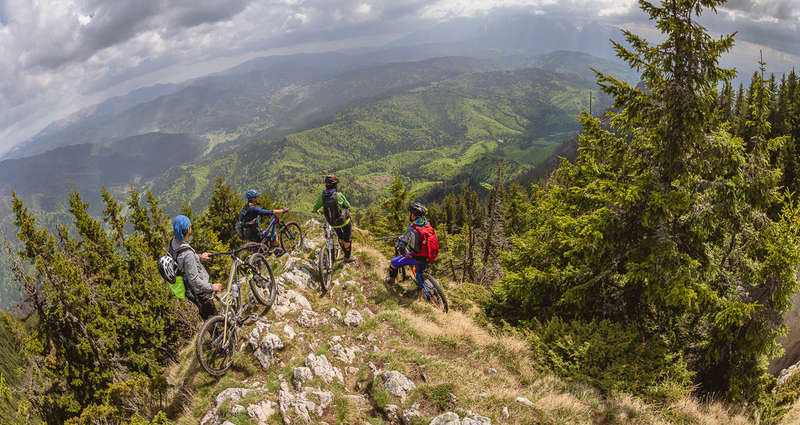 Although it’s a touristic complex it has two challenging downhill and enduro trails and a stunning view upon Bucegi mountains. The shuttle will bring us up. But the spa, wellness and delicious food at Cheile Gradistei Resort will call us back down. Discover some of the best enduro trails of Romania. The Carpathian Mountains are among the wildest mountains in Europe. 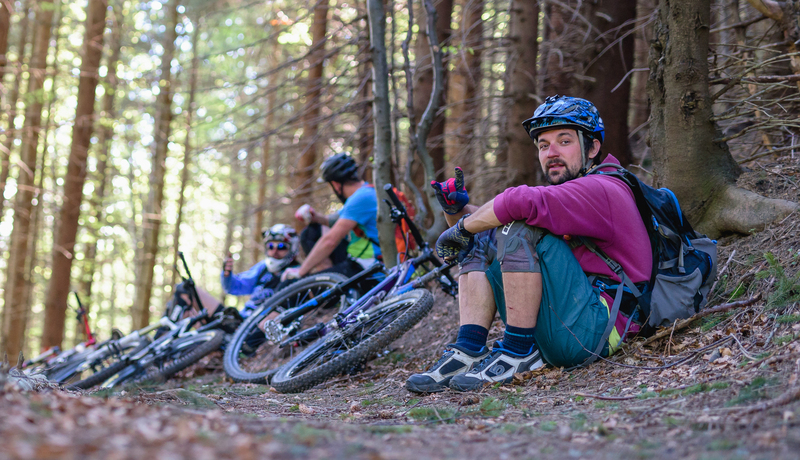 Because mtb is not so popular yet, our country can offer you the freedom western countries have lost years ago. 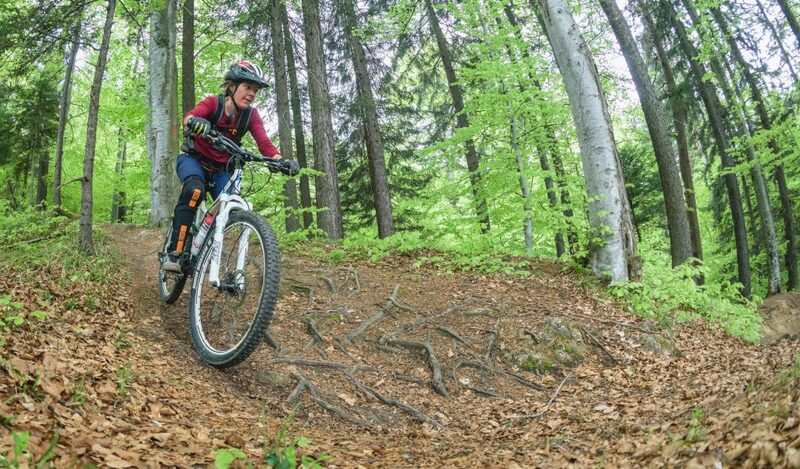 Hidden paths and virgin woods will be on the meniu every day. 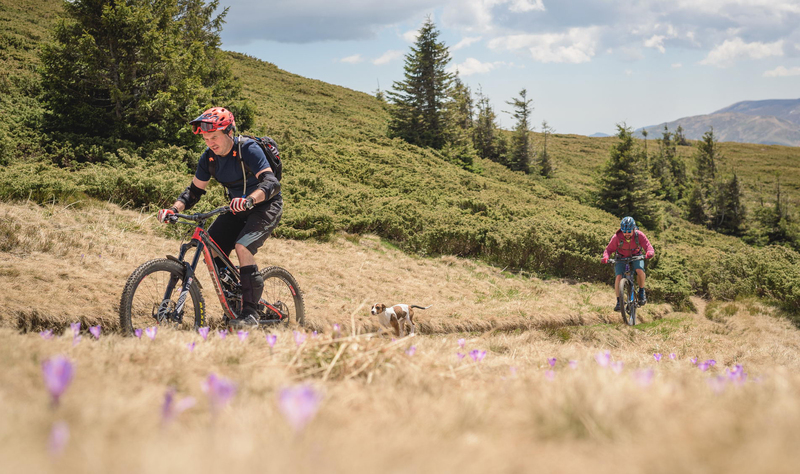 From the steepest valleys, to the deepest forests, the Carpathians will offer a complete range of landscapes even to the most skeptical rider. In case of bad weather, we have really good backup spots up in the mountains which will allow access to safe areas. Adventure travel around the world! 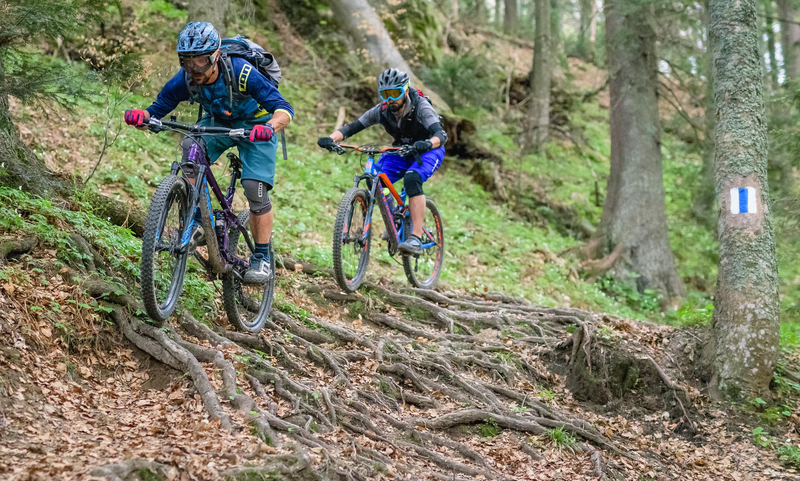 ShredMind and Surmont – The Bike Store are taking you out for a ride!